While most people start their scuba diving journey later in life, Rebecca Holt began hers at 10 years old. 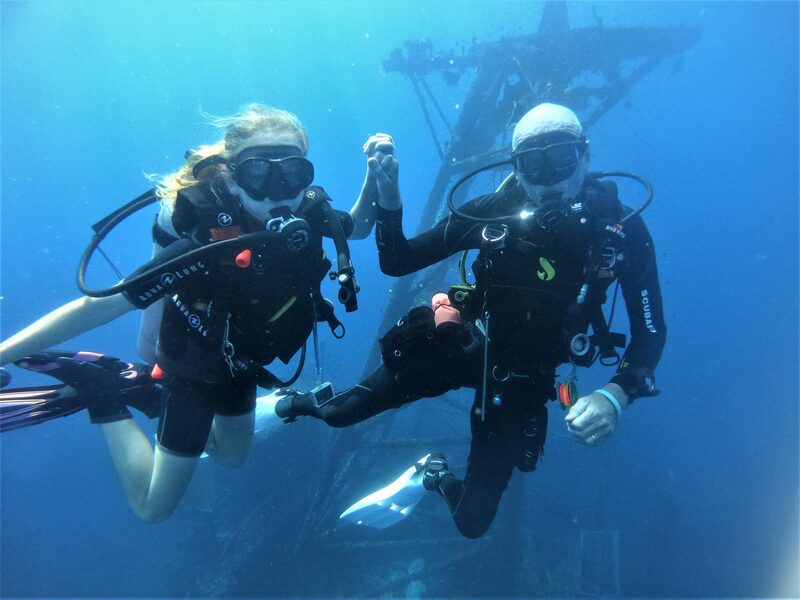 Not only has Rebecca already completed her Junior Open Water Diver, Junior Advanced Open Water Diver, Junior Rescue Diver and a range of specialty courses, but she has also achieved her Junior Master Scuba Diver (MSD) rating at just 12 years old. Fewer than two percent of divers have achieved the Master Scuba DiverTM rating, let alone at such a young age! Rebecca grew up in North Norfolk, England and always had a passion for sport whether it was golf, skiing, snowboarding or even indoor climbing. But her love for the ocean started when she first learnt to snorkel at 6 years old whilst on a family holiday. As her fascination with the underwater world grew, Rebecca’s dad gave her a book to read, ‘The Silent World’ by Jacques-Yves Cousteau, which instantly sparked her curiosity of scuba diving. 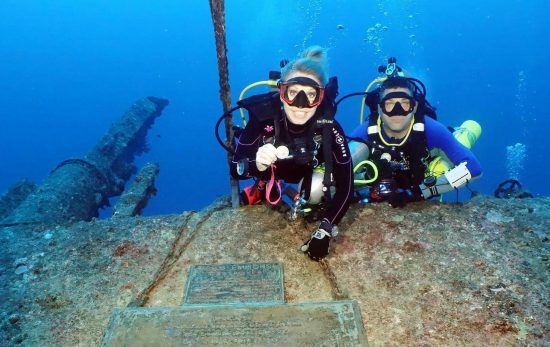 In 2017 and just 3 months after her 10th birthday, Rebecca started her scuba diving journey. 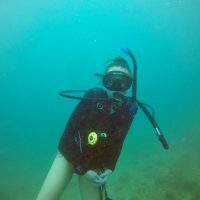 While on holiday in Koh Tao she successfully completed her Junior Open water Diver course. After immersing herself in the underwater world and being surrounded by endless amounts of fish, Rebecca discovered her new passion – scuba diving. Over the course of the next 18 months, she continued to train and dive whenever possible. In Norfolk, Rebecca completed her Emergency Oxygen Provider Specialty, Junior Enriched Air Diver Specialty and Project AWARE Specialty courses with Christal Seas Scuba. It was during this time that she fell completely in love with the sport and decided that she wanted to become a Junior Master Scuba Diver. It was in Thailand, that Rebecca started her next stage of her scuba diving journey. 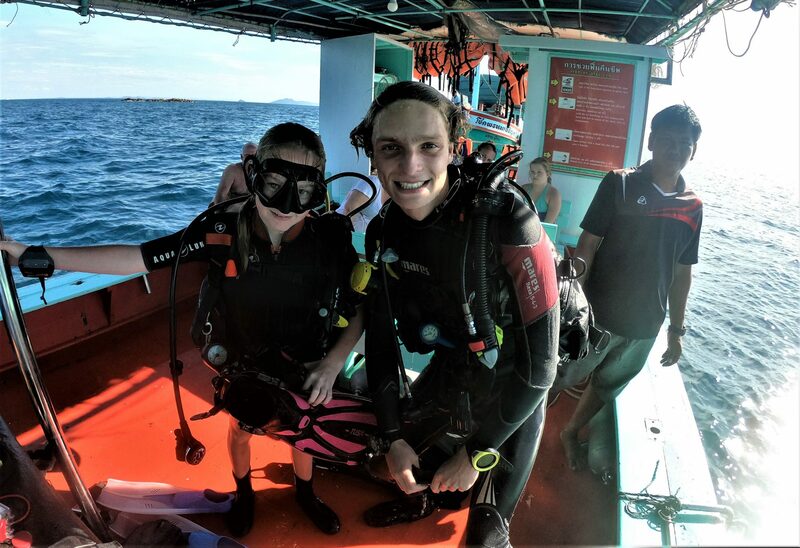 Rebecca would dive and train three times a day for 10 days, to achieve her Junior Advanced Open Water Diver and Junior Rescue Diver certifications with Koh Chang Divers. During this time, she also completed her Emergency First Response, Peak Performance Buoyancy Specialty and Underwater Navigator Specialty courses. From shallow reefs teaming with soft and hard corals to the HTMS Chang Wreck, a large navy vessel packed with marine life, Rebecca dived it all. 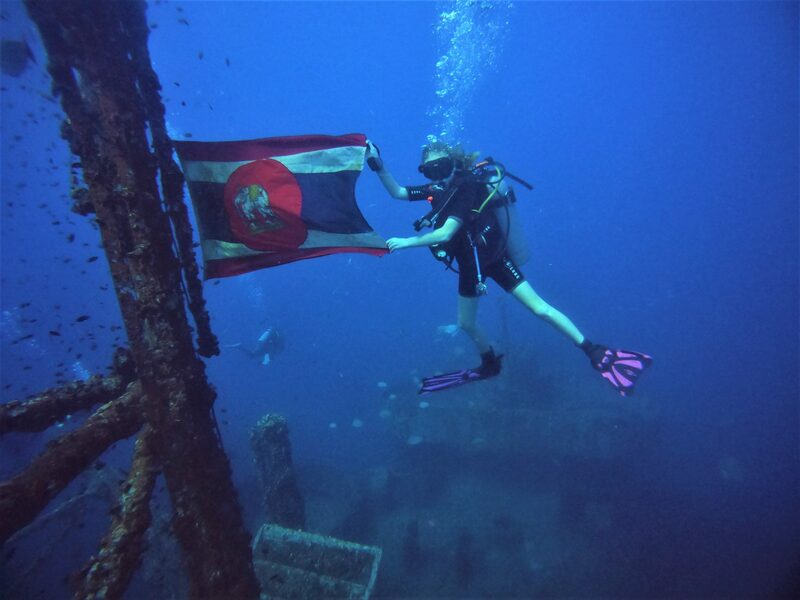 After completing her wreck dive of the HTMS Chang, Rebecca’s instructor David from Koh Chang Divers, informed her that she had been successfully signed off for her Junior Master Scuba Diver course, just 18 days after her 12th birthday. Currently, Rebecca is working on improving her underwater photography skills while also helping to clean up our oceans. At 12 years of age, Rebecca has already recognised the dangers of plastic and pollution, and the importance of conservation. To help, she has organised many local beach clean-ups with her friends. In the future, Rebecca hopes to dive Australia’s Great Barrier Reef and with the Great White Sharks in South Africa. Want to learn more about how you can get your child involved in the amazing world of scuba diving? Children 8 years and older can join our Bubblemaker or Seal Team program while any child aged 10 years or older can start their PADI® Junior Open Water Diver course.